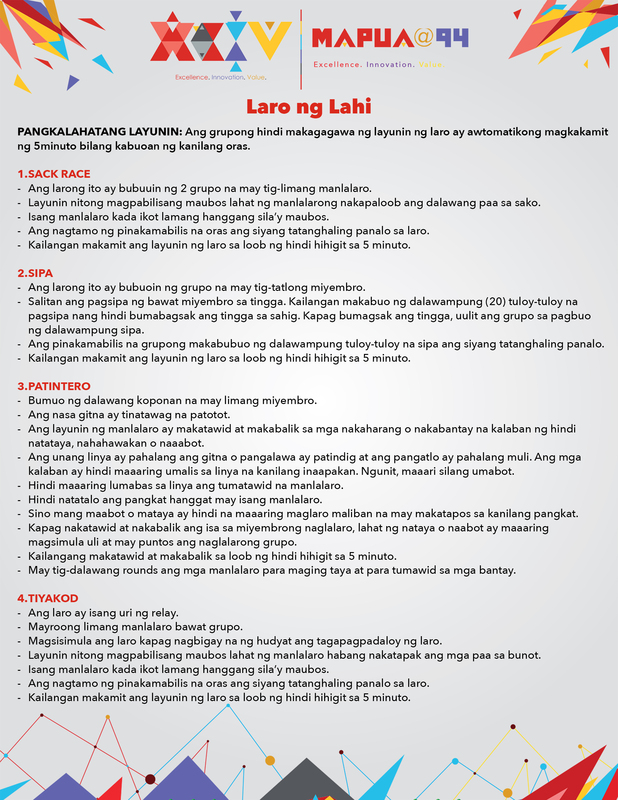 Join the Laro ng Lahi on January 22, 2019 as part of our 94th Foundation Week Celebration. 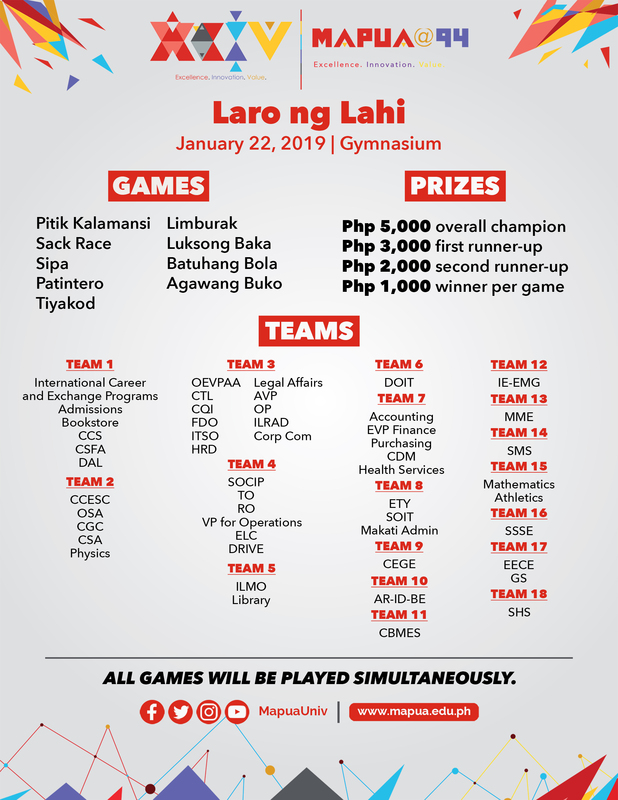 The different teams should submit their official list of players per game on or before January 21, 2019, 10 AM to Ms. Lilibeth D. Sabino. 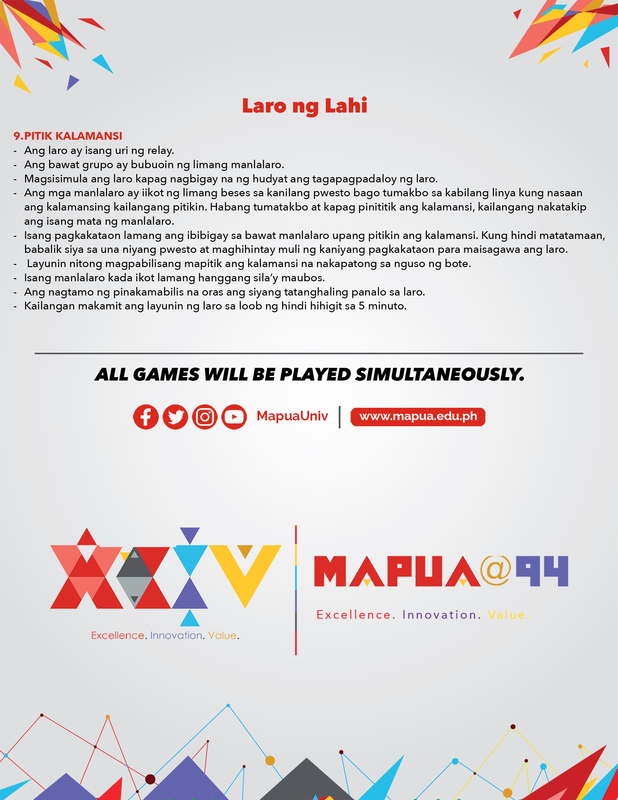 You may submit your official list of players at the Senior High School Office or send it via email at ldsabino@mapua.edu.ph. 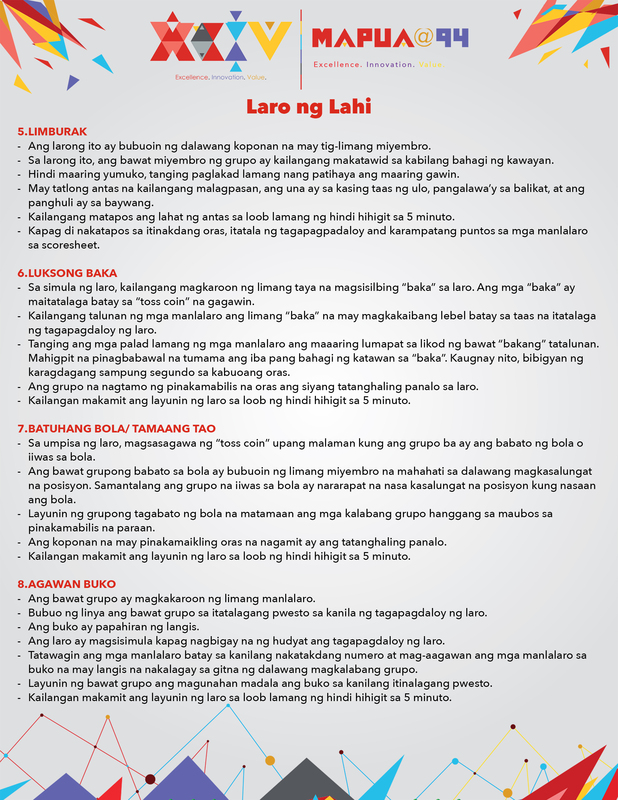 Please refer to game mechanics to know more about the different Filipino games listed.